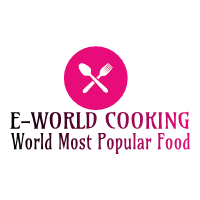 Vanilla Sponge cake | Eggless Vanilla Sponge cake ~ E-World Cooking-The World Most Popular Food. 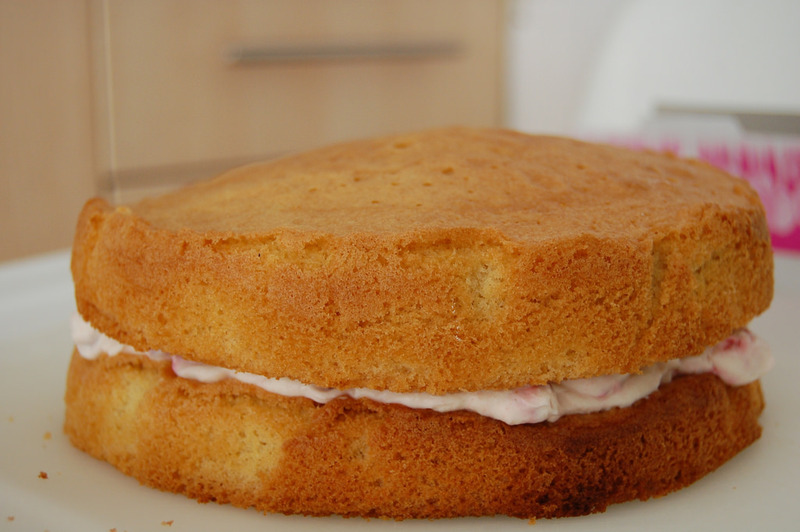 An extremely essential Vanilla Sponge Cake formula which is so delicate and fleecy sponge cake formula which is super simple to make however taste so tasty and delicate. This direction I’m sharing these days is created with constant ingredients as quaint Vanilla Sponge Cakes, however, there’s one vital step that you just won’t see in any Women’s weekly direction books from the 1980’s, beating softened butter into the dry ingredients. This is often the key to a wet, tender cake created while not soured cream or milk. Any occasion, birthday party, and Christmas celebrations with Vanilla SpongeCake, it’s a very simple delicious dish. All-purpose flour or Maida-200 gm. To make a Vanilla sponge cake take a largely sized kadai and add salt, you can use any low-quality salt for this step. Also use a pressure cooker instead of kadai, just remember the pressure cooker size must be greater than five litters or more. Always make a layer with salt at the bottom of the vessel, whenever baking a cake without oven. The layer of salt will form a barrier and will help to spread the heat uniformly around the vessel and is not concentrated at one spot. This will make sure the cake is baked properly and does not turn hard or brown. This salt can always be reused. Store it in an airtight container and reuse it every time you bake a cake on a gas stove or pressure cooker. Place a metal stand above the salt then turn on the gas and keep at it low flame. Cover with a lid and preheat the kadai or pressure cooker for 15 minutes over the lowest flame. Line a 9-inch cake tin with butter paper and smear with fresh oil or butter, if butter paper is not available in your home you just use some oil and brush the cake tin. First, add 2 tsp. white vinegar into the milk, mix it very well and rest for 5 minutes. If we add white vinegar the milk curdle and from buttermilk. 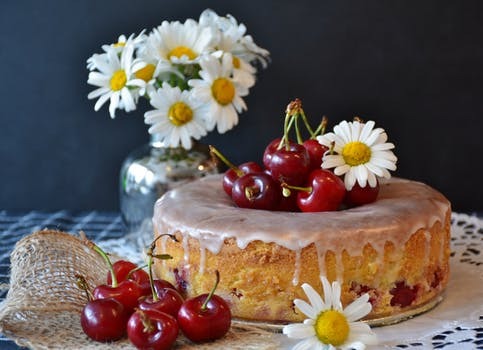 For very soft and smooth vanilla sponge cake sieve all the dry ingredients together like all-purpose flour or Maida, baking powder & baking soda, discard any big lumps. Take another bowl and add soft butter, fresh oil-4 tbsp. & condense milk. For softness Condense milk very important. I suggest you, in this vanilla sponge cake you use both butter and oil because Butter provides good flavor & oil provide softness .now mix with a hand whisk. Add the dry ingredients little at a time and keep mixing, also adding the prepared buttermilk too. Do not use electric blender or mixer grinder to whisk this batter. The cake may turn hard. When the batter is ready for vanilla sponge cake and there are no lumps inside the batter add vanilla essence, mix very well. The final consistency of the batter should not be thinner. Now pour the vanilla sponge cake batter into the cake tin. Tap it a few times to remove any air bubble. Place the cake tin very carefully on the metal stand that we already placed inside the kadai. Cover with a lid and bake over a medium flame for 40 minutes, just check once after 30 minutes. After 40 minutes insert a toothpick in the center of the Vanilla Sponge cake and check if it is baked completely .if there is no batter on the toothpick that means the cake is or properly baked. Decorate it yourself it's optional. Take a glass dish to make the Vanilla sponge cake please remember metal cannot be used in the microwave. Brush some oil in the glass dish and place a butter paper. Prepare the batter, in the same way, using the same measurements. The only difference is, here use more milk for this Vanilla Sponge cake. Use 350 ml milk instead of 250 ml milk. The consistency of the vanilla sponge cake batter should be thinner. Pour the batter into the glass dish. Tap it few times to remove any air bubbles. Place the glass dish inside the microwave on high power for 6 to 8 minutes. The time will depend on the wattage capacity of your microwave. For 900 watt microwave will take 7 to 8 minutes. The main difference is that when we make the vanilla sponge cake in the gas stove the golden brown crust form on the top layer but when we make it in a microwave oven the golden brown crust will not form on the vanilla sponge cake but both will taste and equally good. Unmold once the cake is cooled down. Vanilla Sponge cake is one of my favorite dishes. You can try it at your home. To get the latest update please subscribe and click on the bell icon, to know more click here.